As we know Microsoft did lots of investment on improving the search architecture and did lots of changes in terms of UI prospective. There are some of the common issue and well known, that I encounter during my development & search troubleshooting. 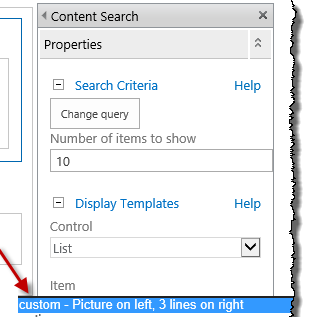 Automatic Crawl properties not created[Issue] This is known issue while creating the site column using declarative way the automatic crawled properties are not generated by the SharePoint engine. [Solution]: The work around this either, need to create the Site columns using powershell or SharePoint object model.Display template not selected in the Content Search Webpart when we create the page using element.xml file. Week ago I had encountered the most common issue “Search has encountered a problem that prevents results from being returned”. I had searched lots of article and find diff-2 solutions. 2. Custom Search Property not configured properly. In my case, I had a search page, where I had configured the content search web part and core result web part. Only my Search result web part was throwing error “Search has encountered a problem that prevents results from being returned” other webpart i.e. content search webpart was working fine. In my content search web part, I was using custom template and custom Managed Properties, so the first question comes in my mind. Was this related to the OOB MP issue? SharePoint Manager The SharePoint Manager 2013 is a SharePoint object model explorer. It enables you to browse every site on the local farm and view every property. Property bag settings SharePoint Property Bag offers developers to store configurations settings at different levels of the SharePoint hierarchy outside of the application itself. ULS Viewer ULSViewer allows users to open a ULS log file and display its contents in a user friendly format. Users can then perform advanced functions. SharePoint feature admin Quickly review what features are installed. Detect faulty solutions. Mass activate and deactivate features. SharePoint 2010 Hide Ribbon using JQuery in "EnabledScript"
Problem Understanding: In SharePoint ribbon control there is “EnabledScript” parameter that used to enable and disable the icon from the ribbon based on the condition logic in your method. So the requirement is to hide the button from the ribbon instead of disabled it. Requirement: Hide the button from the ribbon instead of disables it. 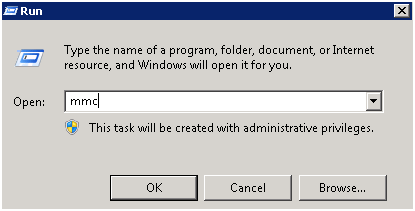 Solution: In SharePoint ribbon control there is “EnabledScript” parameter that used to enable and disable the icon. So in this function I decided to hide the ribbon control using JQuery. Here comes the problem the ID of the icon is “DATA.SharePoint.Ribbon.NewControlInExistingGroup.NotifyLarge” and it contains the “.” So to escape the “.” We required to add the “\\” in front of “.”. Implementation: So the following Script that I used to hide the ribbon icon. In this code I checked the controlexistId control existence and based on the logic I hide the icon. Background: It almost take 2 days to find the way to apply the required field validator to the custom control properties. So I decided to share with this information to all other fobs working with Nintex object model. Goal: Apply Required Field validator to custom properties. So apply the required field validator we need to put the following code at the top of the properties attribute section. So the full code would be goes like this. The marked yellow are required parameters to make the fields to required. Goal: To create the custom action that going to display the button at Nintex form setting ribbon. Feature Scope: Site Identify the location: Using the IE developer tool you can identify Ribbon group. Element.xml <CustomAction Id="Custom.SharePoint.Ribbon.NewControlInExistingGroup" Location="CommandUI.Ribbon"Sequence="20"> <CommandUIExtension> <CommandUIDefinitions> <CommandUIDefinitionLocation="Nintex.Forms.SharePoint.Ribbon.FormDecustomer.FormTab.CommitGroup.Controls._children"> <ButtonId="Custom.SharePoint.Ribbon.NewControlInExistingGroup.Notify" Command="Custom.Command.NewControlInExistingGroup.Notify" Sequence="